We know that your home is where you spend most of your time, and where you feel the safest. Needless to say, the part of your home that you are most likely to neglect is your roof. Unfortunately, with a damaged roof, the rest of your home is now in danger of major damage as well. Furthermore, Florida weather can be quite harsh at times, so it’s especially important to do some damage prevention before it becomes an emergency. Since plenty of people are indecisive when it comes to what type of roofing system is the best for their home and budget, we’ve decided to provide you with some information that can help you decide whether to stick with asphalt shingles or opt for a trendy-yet-pricier metal roof. We’ll give you a list of pros and cons for each one, so you can come to a well-thought-out decision of your own. 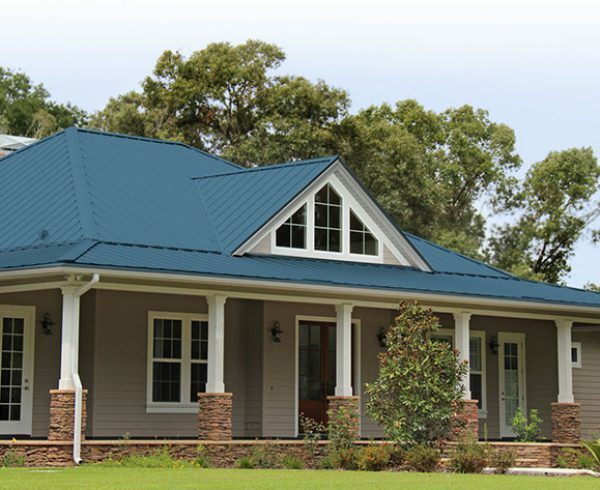 Metal roofing can be made from aluminum, steel, copper, or alloys. However, aluminum and steel are by far the most commonly used materials for metal roofing, since they’re economical and durable. We previously mentioned that Florida weather tends to be quite harsh throughout the year. Luckily, metal roofs are incredibly durable compared to other materials. Since lightning strikes and other severe weather conditions are a common occurrence in Florida, it’s safe to say that you need something you can depend on above your head. In fact, metal roofs are known to sustain wind gusts of over 140 miles per hour, and depending on the material, they can also be impact-resistant. If you decide to replace your old roof with a metal one, you won’t have to worry about replacing it again for at least 40 years! That’s pretty impressive, considering asphalt roofs tend to last for about half of that time, up to 20 years. Roof maintenance can be very time-consuming (check out our Roof Preventative Maintenance Program). 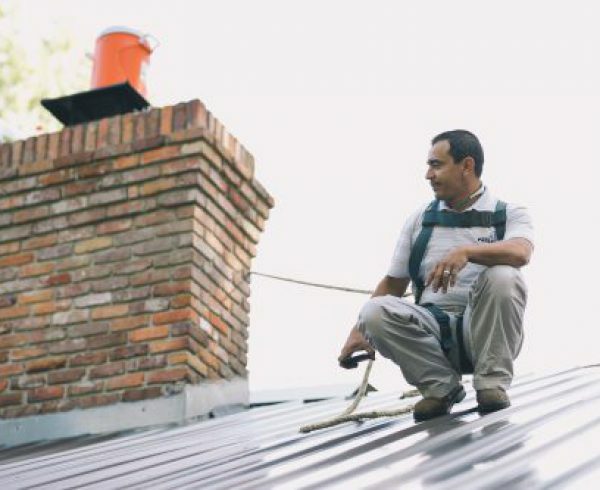 If you’re one of those people that dreads regular roof check-ups, then getting a metal roof might be a no-brainer. We’re not saying you’ll never need your roof inspected. However, when it comes to maintenance, a metal roof is incomparable to an asphalt one. For the sake of providing you with all the information, we’ve also made a list of some of the cons of getting a metal roof. The amount of noise a metal roof makes isn’t negligible. Living in Florida has its ups and downs, and heavy thunderstorms can be quite noisy. However, if you’d like to reduce the amount of noise your roof makes, then we may suggest added insulation to dampen the effect. You probably already guessed that metal roofs are more expensive than asphalt ones. However, did you know that they can cost up to three times as much as asphalt shingles? Ultimately, it’s up to you to decide whether it’s worth the investment or not. 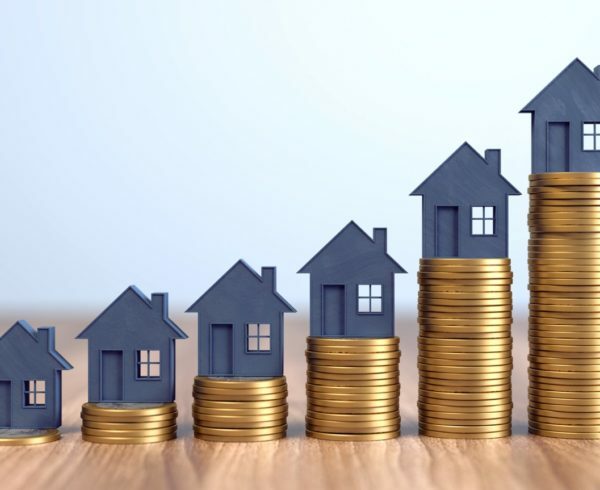 For example, if you’re planning on moving in the near future, then it may not make much sense for you to invest that much money on a roof you won’t get to enjoy for much longer. Asphalt shingles are made from either fiberglass or an organic material covered in additional asphalt. They have a top coating made from a mixture of quartz, mica, schist, slate, ceramic, or stone. The back of an asphalt shingle is covered with talc, sand, or mica which keeps each shingle from sticking to the other. We’ve already mentioned that metal roofing can cost up to three times as much as asphalt roofing. If we’re being honest, affordability is probably the biggest reason why people opt to install asphalt shingles. Most people choose asphalt roofing because it offers good protection, and it doesn’t leave a giant dent in their budget. Ultimately, if you’re on a tight budget, installing asphalt shingles is probably your best option. Asphalt shingles are relatively quick to be installed, and often we can have them installed in just a couple of days. Of course, it all depends on the style, and whether or not there is a need to remove the old shingles first. However, compared to other roofing, asphalt shingles are by far the most straightforward and quick installation. Once the weather starts fluctuating, your shingles will start to expand and contract, causing them to crack. That’s why some people don’t even blink when asked whether they prefer metal roofing or asphalt shingles. If you’re set on installing asphalt shingles, then familiarize yourself with our Roof Preventative Maintenance Program. There are several things that can cause your roof to deteriorate prematurely. If you want your roof to stay intact for as long as possible, you will need to check for cracked shingles regularly. Also, don’t forget about moss and algae that are bound to form over time and wreak havoc on your roof. Inquire today about our Roof Preventative Maintenance Program to ensure your roof is in top shape for the duration of it’s lifetime. We’ve given you plenty to think about. We know how unreliable Florida weather can be, so it’s up to you to determine which type of roofing will suit your home the best. The bottom line is, whether you choose a metal roof, or asphalt shingles, proper installation, and maintenance are key, so always keep that in mind. Still have questions? Give us a call at 855-964-7663 or contact us right here to discuss your roof or to have one of our experts drop by for a free estimate. Great read! I believe asphalt shingles have better decor and home curb appeal compared to the metal roof. It all depends on what you’re looking for. Professional installation should be high on the list because you’ll end up spending more on repairs if your new installed shingles or metal roof is not properly installed. hanks for shearing this post with us. very informative article.